Brady offers a variety of highly visible Lockout Hasps that include labeled and nonconductive options. 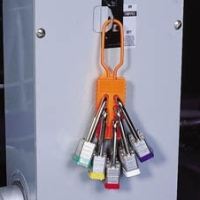 Brady’s labeled group lockout hasps are a valuable and convenient combination of lockout tag and safety lockout. When safety is a priority, Brady offers a wide array of options in padlock hasps.